Brand heads share how they prepare to take it to the next level with Festive Spends 2018 by betting big on digital. Ganu Bappa bid us adieu just a few days ago and we await the onset of Navratri now, post which Diwali brightens our lives and then Christmas arrives to gift us little joys. The festive season has begun and brands have tightened their grip to roll offers and stage activities to make the most of this quarter. Earlier this month, Social Samosa spoke to media planners who predicted that digital spends are expected to show a cumulative growth of 27 – 30% this festive season. Economic Times too, reported that India Inc would be spending close to Rs 25,000 crore on advertising, marketing and promotions during the festive season this year, which ascends 10% than 2017. 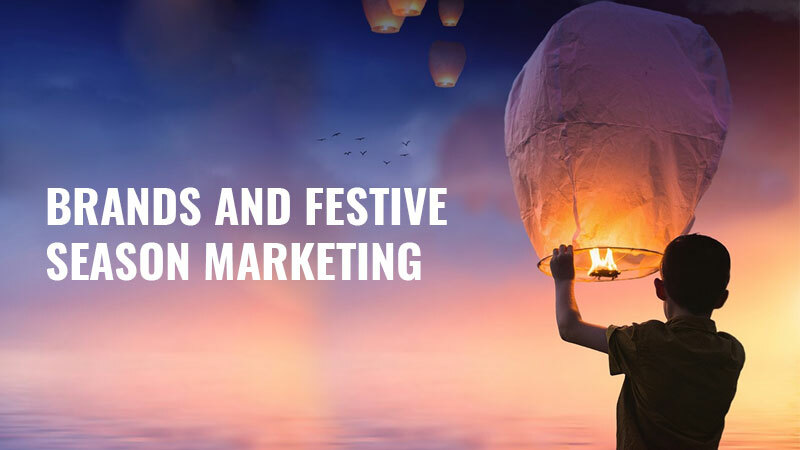 While the marketers optimise for positive festive growth owing to buoyant consumer sentiments, they have already geared up to match the pre-Diwali market excitement. Radico Khaitan Limited has appointed glam diva Jacqueline Fernandez and Kartik Aaryan as the brand ambassadors for their premium brand Magic Moments. 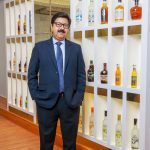 As the brand looks to reinforce its position as the category leader, Amar Sinha, COO, Radico Khaitan said, “The premium and super-premium market is growing in this category in India. 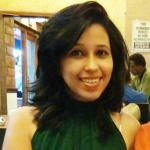 Our new communication aims to be a strong youth-oriented, represented by trendsetters Jacqueline and Kartik. As part of the brand association, Jacqueline and Kartik will feature in a new Campaign, ahead of the festive season”. Meanwhile, Dell India launched a campaign introducing Dell Cinema – the 2018 innovation announced at CES. Also Dell’s association with the upcoming ‘Thugs of Hindostan’ across YouTube and Facebook as primary digital channels and a presence during the Asia Cup Cricket Tournament, is aimed to engage with consumers throughout the festive period. The estimated reach of the campaign is 71 million. On the other hand, Shoppers Stop’s nationwide campaign, ‘Wardrobe Refresh’ showcases aspirational fashion and curated looks to adorn this season. On similar lines, Pepperfry rolled out a pre-festive with “Why Wait For Diwali Sale”. Through this campaign, Pepperfry encourages customers to gear up for the festive season in advance by availing discounts of up to 50% off on just about everything on Pepperfry. With a highly stylistic, grand Broadway-esque approach, the company aims to spice up the furniture and homeware category in India. The company has put together a strong marketing strategy to promote its products across categories. With the onset of this festive season, it has launched some consumer offers on all products including free installations and extended warranties on certain categories. It also partnered with the Unimoni Asia Cup 2018 as Official Global Partner & Associate Gold Sponsor and will be partnering with the upcoming India-West Indies Home Series as well. Other strategic brand sponsorships like Kaun Banega Crorepati on Sony channel, Mega Icons on National Geographic channel, MasterChef on Star World, Mr. Punjab on PTC channel and a host of other regional programs will enable the brand to forge a closer connect with the customers in all regions. All these initiatives are being driven to engage the interest of the audience and give them an ultimate product experience. August activities are followed by the winter buying cycle and wedding season. 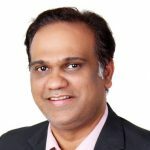 In the retail business, witness cycles of buoyancy in household expenditure”, shares Tejas Dhabalia – AVP & Head of Marketing, Godrej Nature’s Basket. To execute its national expansion strategy to grow 3x by FY2020, the company has a robust omnichannel marketing strategy put in place. The digital and technological invasion has significantly changed how consumers think, research, buy and act. This ongoing revolution is redefining marketing and communication strategies for the brands. “While we continue to carry out ATL and BTL activities, we have also made digital an integral part of the business and marketing mix at Orient Electric. We are focusing strongly on online mediums, including SEO, SEM, PPC, Display advertising, social media, digital PR, blogging and influencer activities, to increase the amplification of our activation campaigns. 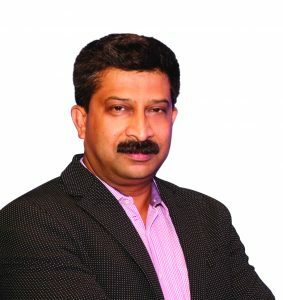 I won’t be able to share the exact numbers here, however, we have over the years considerably increased spending on digital mediums,” said Anshuman Chakravarty, Head Brand & Corporate Communication, Orient Electric Limited. Volkswagen, on the other hand, plans to engage and reach out to it’s ever evolving and aspirational customers through an interesting association with Disney. In this alliance, the company is celebrating Mickey’s birthday and 90 years of his magic with the ‘Happy Days Are Here Again’ campaign. The Volksfest will be a 360 degree campaign that will oversee innovations in various medium. With the aim to increase the number of Volkswagen family members through walk-ins at the dealership, the brand is hosting and organising special initiatives in which the entire family together can enjoy and celebrate the cheerful festive spirits. Tata Motors’ festive season approach is product driven. Vivek-B Srivatsa, Head- Marketing, Passenger Cars at Tata Motors revealed that the company is coming up with four new products. “We already launched a limited edition of Nexon called Kraz, Tata Tiago NRG and soon two more vehicles in the next 30 days. Echoing a similar strategy, Rahul Pansare, Head, Marketing Communications & PR, FCA India Automobiles Private Limited disclosed that for the season they, fortunately, have a new launch lined up which is a new variant of Jeep Compass around October which is the limited plus. So, the spends are definitely higher. The budgets are also aligned accordingly. Advertisers expect to see a bounce in consumer purchasing across India. While Onam kick starts the festivities in the country every year, this year Kerala faced one of its worst natural calamities that hampered the festivities in the region. They are witnessing an upsurge in the consumer demand from across India and are hopeful of good festive sales coming from all parts. On the back of a healthy growth in GDP, decent monsoon, 100% rural electrification, loan waivers and rationalisation of GST rates, the next six months’ yield will be good. As far as electrical appliances segment is concerned, bringing down the GST rate on household appliances such as storage water heaters and mixer grinders from 28% to 18% is likely to spur consumer spending during the coming festive season positively impacting demand in Q3 and Q4. 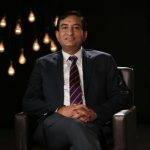 While Haier is betting big on its association with various sports properties and TV Shows like KBC, Orient Electric Limited is doing product and brand-specific campaigns on digital and social media and will be rolling out social media campaigns this festive season for fans and water heaters. Marketers’ overall objective from social media marketing is to increase reach, bolster engagement levels and enhance the volume of the loyal customer base. Digital is an epochal part of Godrej Nature’s Basket’s omnichannel customer engagement strategy. In alignment with its goals, all digital campaigns are expected to deliver an ROI of 5x. With the ever increasing penetration of smartphones and enhanced connectivity across markets, Volkswagen is looking at increasing budget allocations by an additional 3-5% this year in Digital, in comparison to last year. “Some of the campaigns we are rolling out are digital heavy as it’s a great medium to engage directly with our TG,” shares Bishwajeet Samal, Head of Marketing, Volkswagen Passenger Cars. In the era of customer engagement, social media is an important channel to have a presence. From engaging existing customers in increasing Godrej’s share of household expenditure basket on daily needs, it is using multiple digital avenues; including social media. The brand claims to be using social media effectively to meet its objectives of increasing the number of loyal customers and even reaching out to new customers. “The crux of all our campaigns is aimed to differentiate Godrej Nature’s Basket as the neighbourhood store offering daily delights,” adds Dhabalia. The industry looks confident that all these initiatives will enable it to create a stronger and a closer customer connection this festive season.